Hailing from Richmond, Virginia, the Captial City Four Wheelers will be on Hatteras Island this weekend, October 20th and 21st, to conduct their 27th Annual Surf Fishing Tournament! 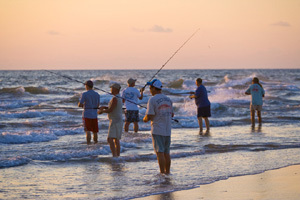 An estimated 600 anglers will compete as winners in 7 different fish categories, including red drum, blue fish, trout, flounder, sea mullet, croaker, and spot. Prizes will be awarded for the largest and second largest fish in each category based on weight. Anglers may only place in one category. The fishing boundaries are from Oregon Inlet beach to the south end of Ocracoke Island, as allowed by NPS under the Historic Fishing Tournament clause of the ORV final rule. There will also be a prize awarded to the child (12 and under) who catches and weighs in the largest fish by weight, with a CCFW official. There is no fee for the child, but the parent or guardian must be a participant in the tournament. 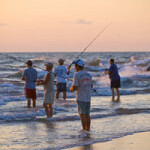 CCFW also asks that anglers and their families help keep the Cape Hatteras National Seashore clean and free of trash. By gathering beach trash and taking it to the Trash Station at Ramp 44 or Ramp 34 (if open) from 1pm-4pm on Saturday, October 20th, participants are eligible to win a prize valued at $100! Participants will receive a ticket upon turning in their trash and a drawing will be held at the weigh-in on Sunday, October 21st. Tournament meetings will be held in Buxton at The Fessenden Center at 8am on Saturday, October 20th and at 9am on Sunday, October 21st. The official start of the tournament will follow. In the event that CCFW does not have 600 participants by 8am on Saturday, October 20th, late entry registration will be available on a first come, first serve basis to individuals wishing to enter the tournament. The recent cold spell that hit Hatteras Island brought an unexpected thrill to local and visiting surf fishermen – puppy drum. 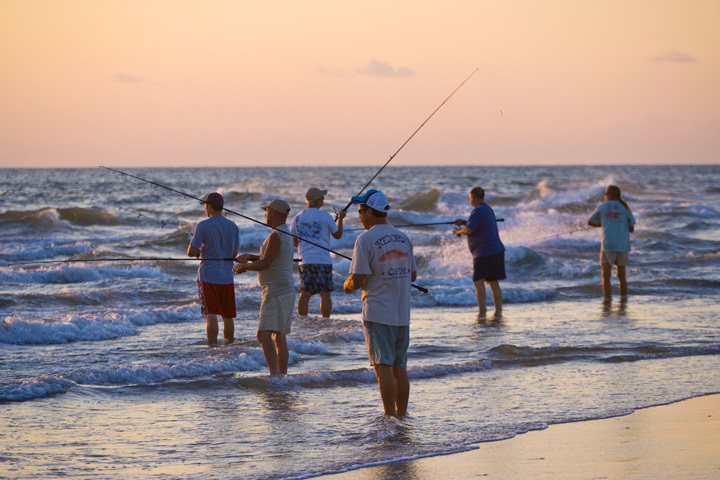 The best surf fishing teams on the East Coast got into the breakers on Hatteras Island this morning to start the 52nd annual Cape Hatteras Angler’s Club Invitational Surf Fishing Tournament.